Take advantage of asparagus season and learn the best ways to cook asparagus, including on the stove and grill. 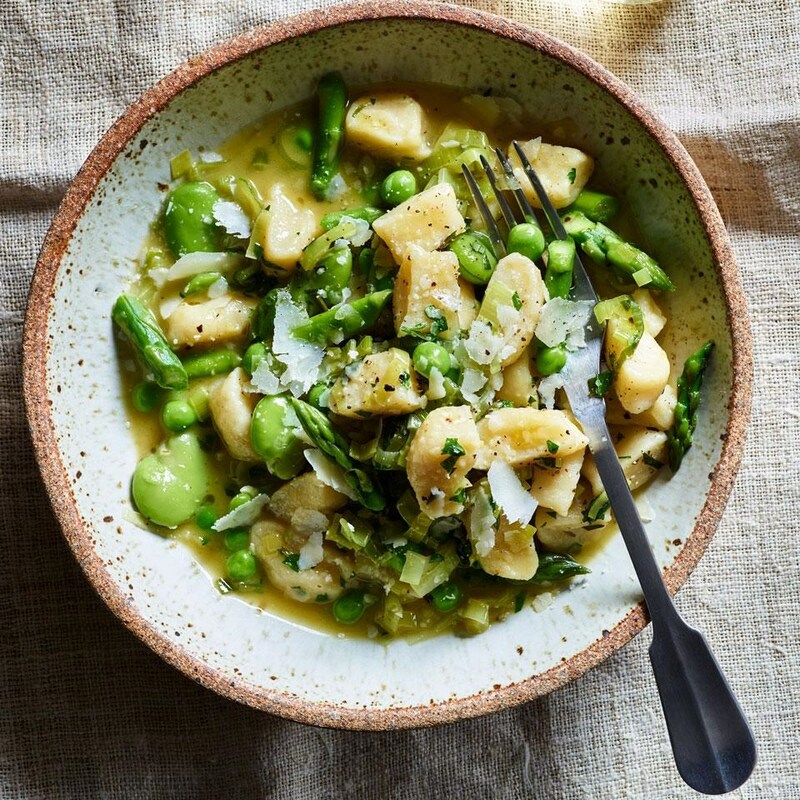 Plus, learn how to buy and store the classic spring vegetable. One of the surest signs of spring is seeing fat, healthy bunches of asparagus showing up in your local market. This distinctive, earthy vegetable is fantastic in everything from omelets to stir-fries and salads, so take advantage of the spring bounty. Here's everything you need to know about its history, tips on selecting and storing the choicest in-season stalks and the myriad ways of cooking asparagus once you get it home. 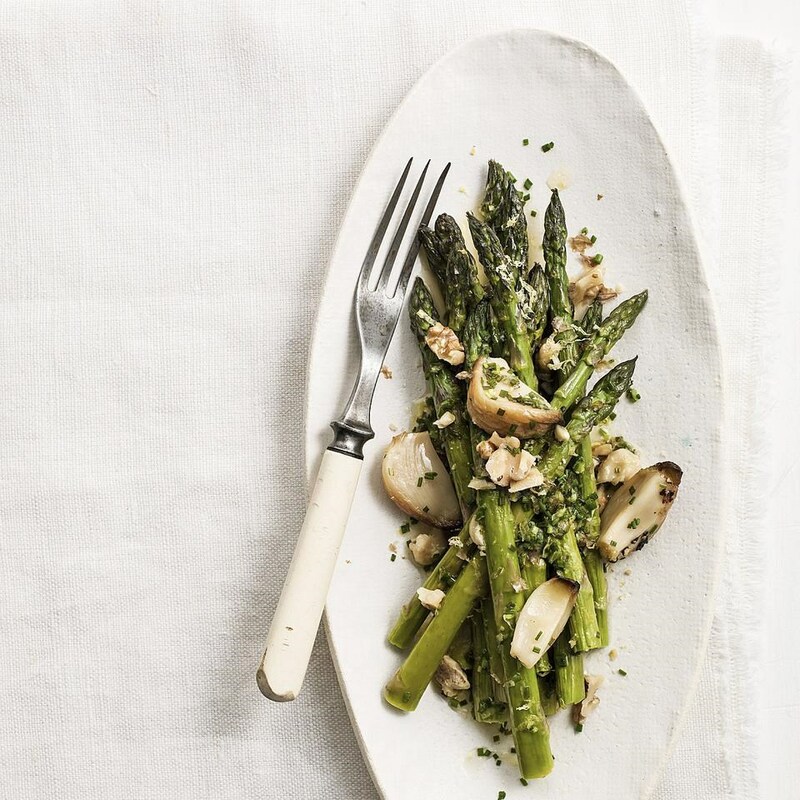 Steamed, sautéed, grilled or even shaved and served raw, asparagus is conducive to just about any preparation. It's really a matter of preference. Maybe it's a weekday and you just want to go super simple (yet satisfying). Chop your asparagus—it will cook faster and absorb more flavor. Next, sauté some garlic, crushed red pepper and anchovy paste in a glug of olive oil over medium heat, then add asparagus pieces and cook for 5 minutes. Voilà! The crisp-tender stalks are just a little bit spicy, a little bit salty—and a lot umami. To boil asparagus, do as the French do and peel the lower halves of the stalks. Liberally salt a pot of water, and drop your trimmed and manicured spears into the boiling cauldron. You want your asparagus to remain slightly firm, so cook it for only 2 to 3 minutes, then immediately dress with lemon juice, olive oil and some flaky salt. Or, remove the cooked asparagus from the pot and shock it in a bowl of ice water. The blanched stalks can be arranged on a crudité platter or wrapped in a spring roll with smoked salmon, shredded carrot and a handful of fresh herbs. Cooking asparagus for a bit longer, whether on the grill or in the oven, helps develop and enrich its flavor. 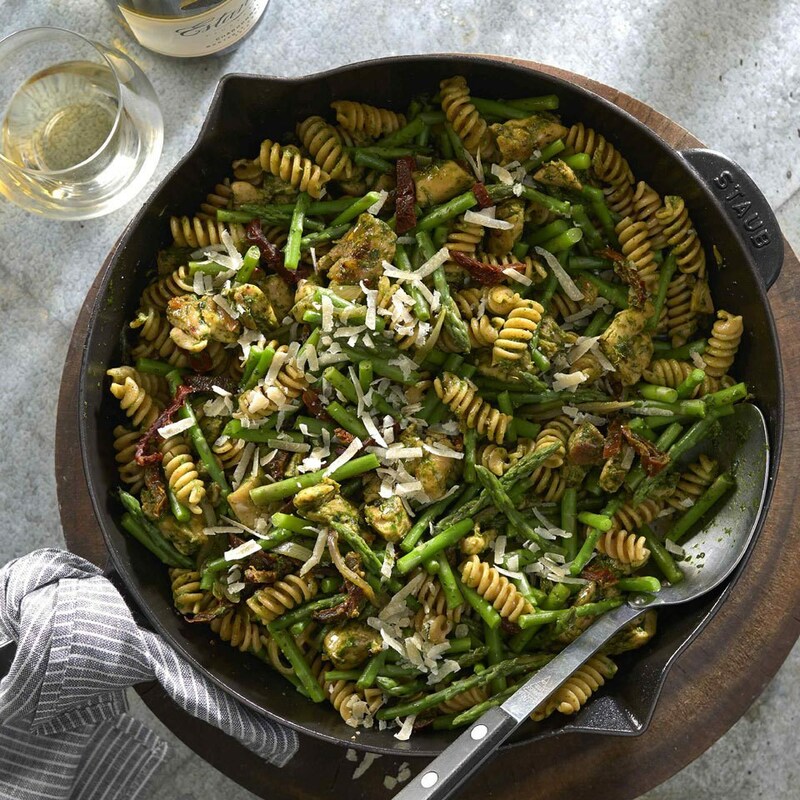 You might lose some of the attractive crunch and snap of quickly sautéed or blanched asparagus, but you'll be rewarded with some added smoky depth. 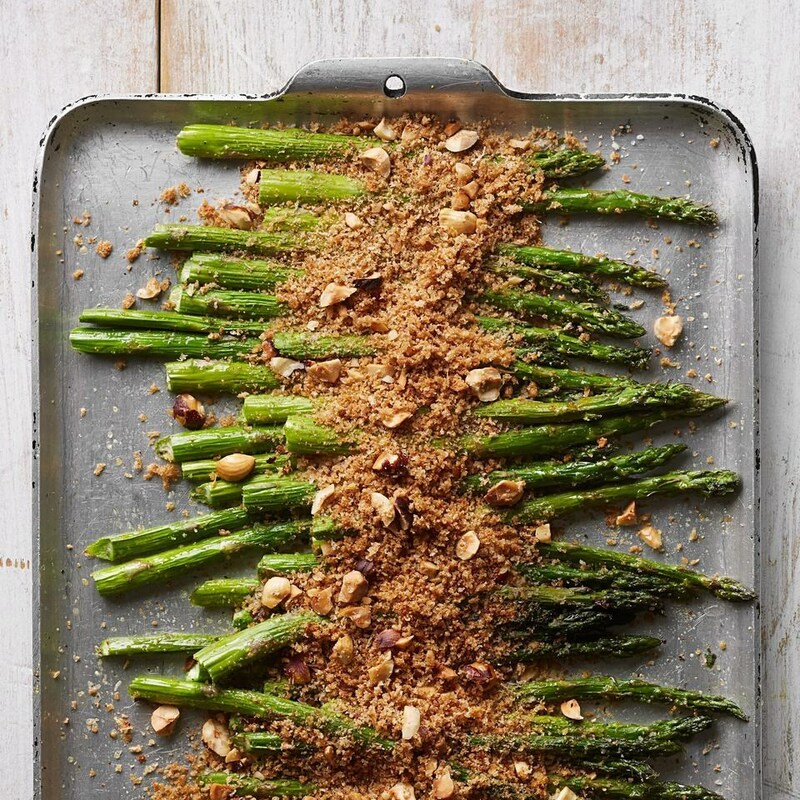 With both grilling and roasting, start by trimming any woody stalk bottoms, then douse the asparagus in olive oil and sprinkle with kosher salt and pepper. Place the spears on a sheet pan and roast at 425°F until just tender, about 20 minutes. Take this simple side up a notch by pairing the asparagus with mushrooms and slices of prosciutto. To grill asparagus, preheat the grill to medium. 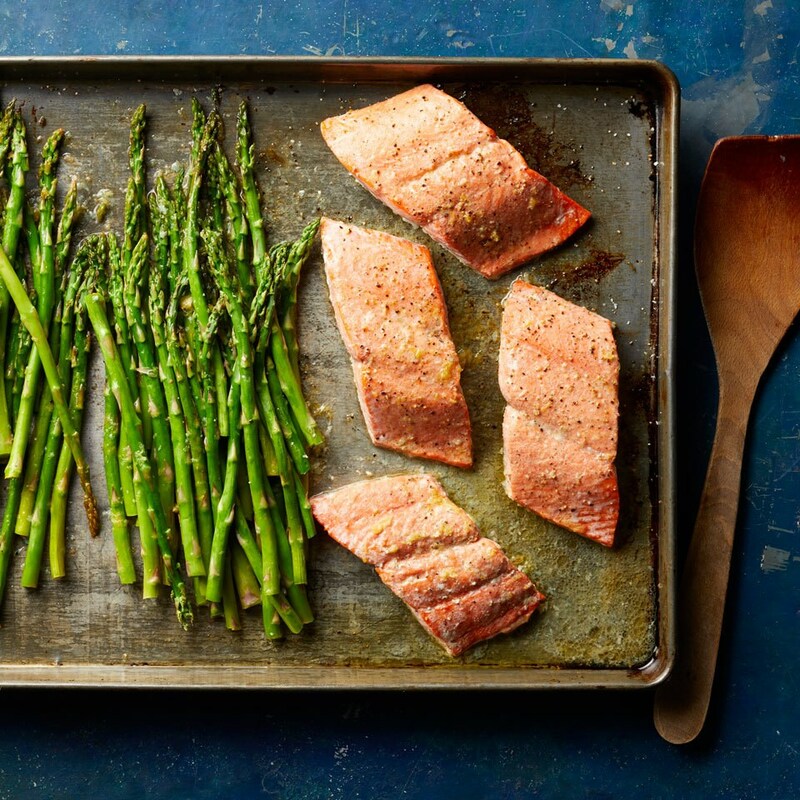 Place the asparagus on an oiled grill rack and grill, turning once or twice, until tender and charred in spots. Asparagus was first grown in Greece more than 2,500 years ago, and was also cultivated and savored by the ancient Romans and Egyptians. It's now grown throughout many temperate regions of the world. 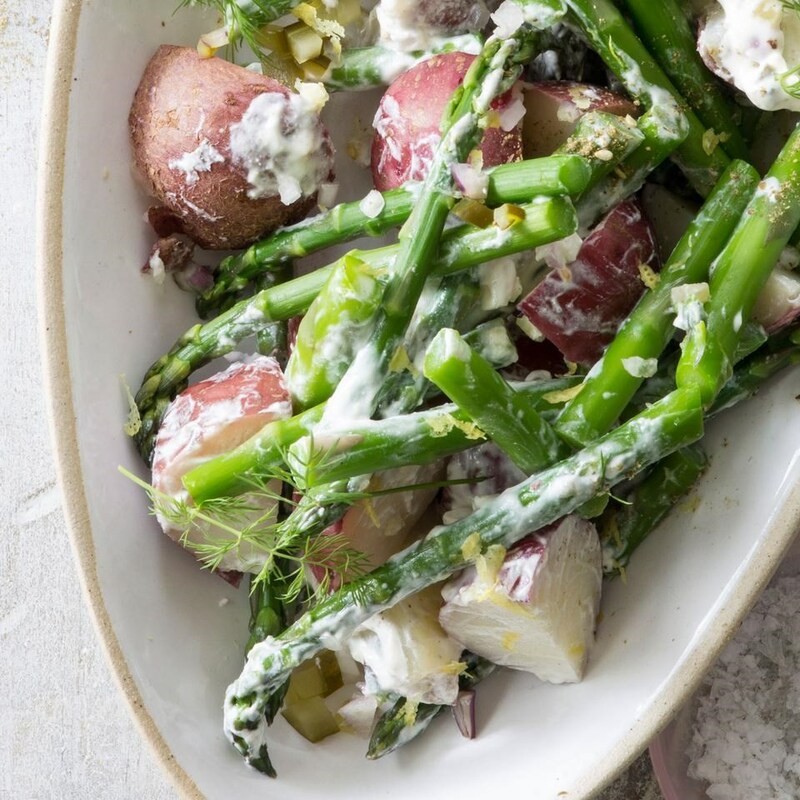 While most vegetables are annuals, asparagus is one of the few perennials (meaning they come back year after year), along with sunchokes, rhubarb and artichokes. Like most vegetables, asparagus was initially found growing in the wild, and wild varieties pop up in many areas come spring. And while green asparagus is the most common sight in stores, you'll also see purple asparagus and the most prized white asparagus. These milder, sweeter stalks, which have inspired whole festivals in parts of Europe, are grown underground to ward off light—and hence chlorophyll production. Although size isn't necessarily an indication of quality (thicker asparagus just means it's more mature), you don't want droopy, spindly stalks. Look for bright green or violet-tinged spears with compact tips, firm stems and bottoms that aren't woody. A ripe stalk of asparagus will actually squeak when squeezed. Snip off those rubber bands as soon as you get home (although convenient for transport and display, rubber bands pinch and bruise the stems). Trim the stalk bottoms and wrap in a damp paper towel. Store the asparagus in a plastic bag in the refrigerator for up to 3 days. You can also refrigerate trimmed asparagus standing up in a tall glass or vase filled with an inch of water. 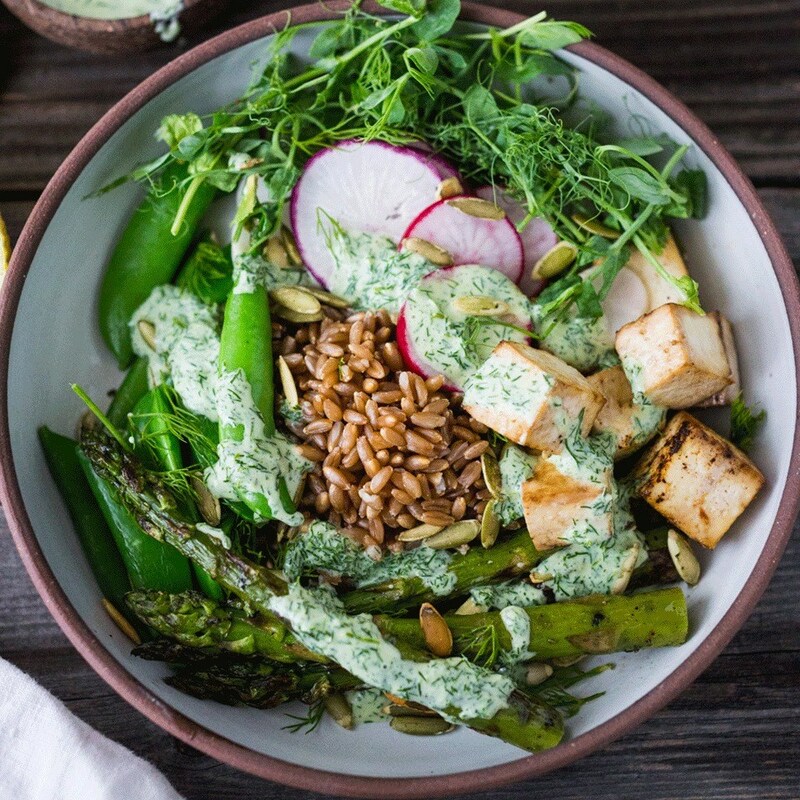 Asparagus, like other green vegetables, is high in antioxidants, including vitamins C and E. It's also an excellent source of vitamin K, which helps prevent blood clotting and promotes bone health. Low in calories, but high in nutrients, just a half cup of cooked asparagus provides 20 calories, 2 grams of fiber and 2 grams of protein.